Welcome back! I have a project I made for my daughter over this last summer I’d like to share. We had a plane trip coming up and she was going to be a lap baby, so I wanted something brand new, something quiet and something that hopefully would keep her very interested. 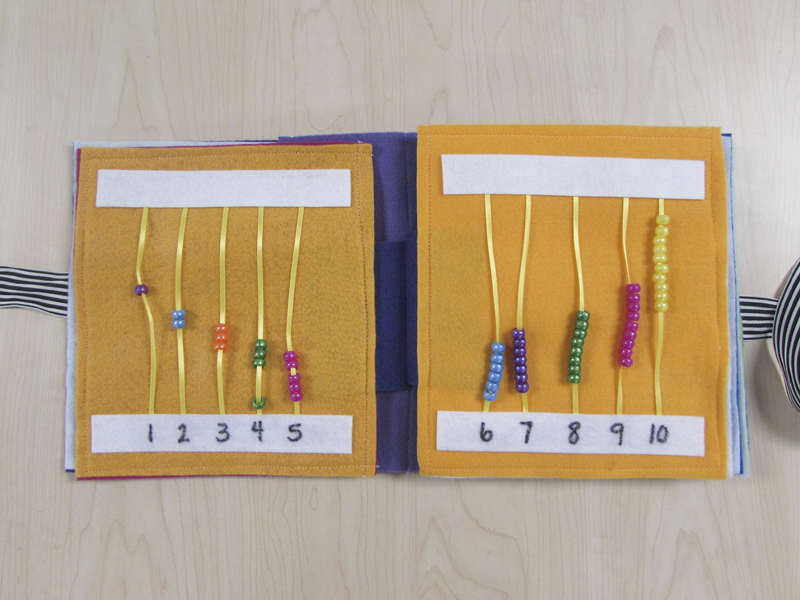 I had been gathering lots of great ideas for quiet books on Pinterest and decided it was time to make one. At this time, sewing was still very new to me, having only taken my first real sewing class a few months prior to the creation of this book. I had no cutting instructions of measurements to follow, just visual ideas. From that, I spent about 6 hours total creating what you see below. 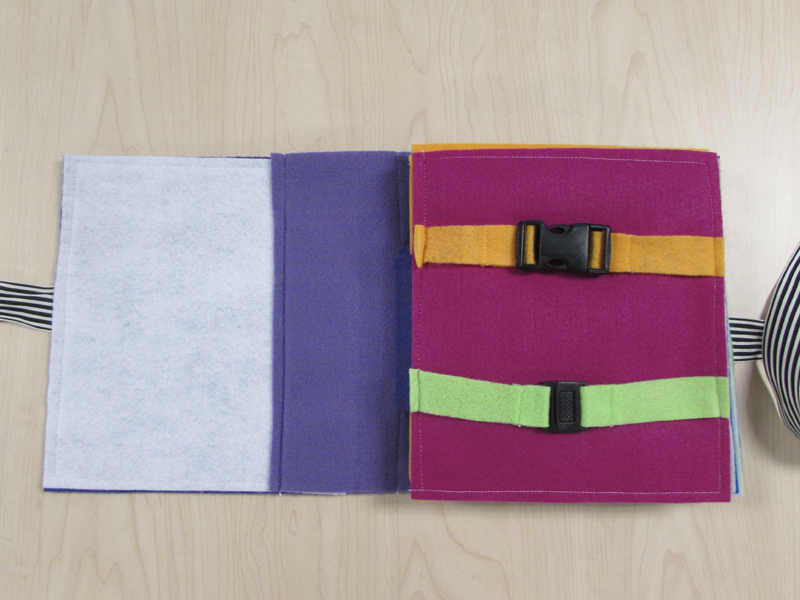 I did it in 3 parts: Part 1, I planed what I wanted on each page, what colors and how it was going to bind. Part 2, I cut, glued and assembled each page. 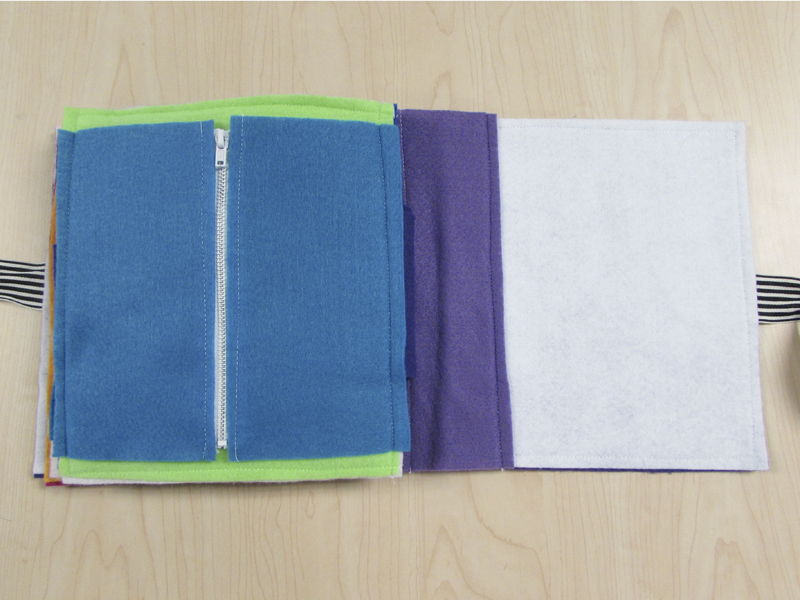 Part 3, I sewed it all together. Honestly I winged the hole project, at one point my mom asked if I knew what I was doing and my honest answer was “not really”. 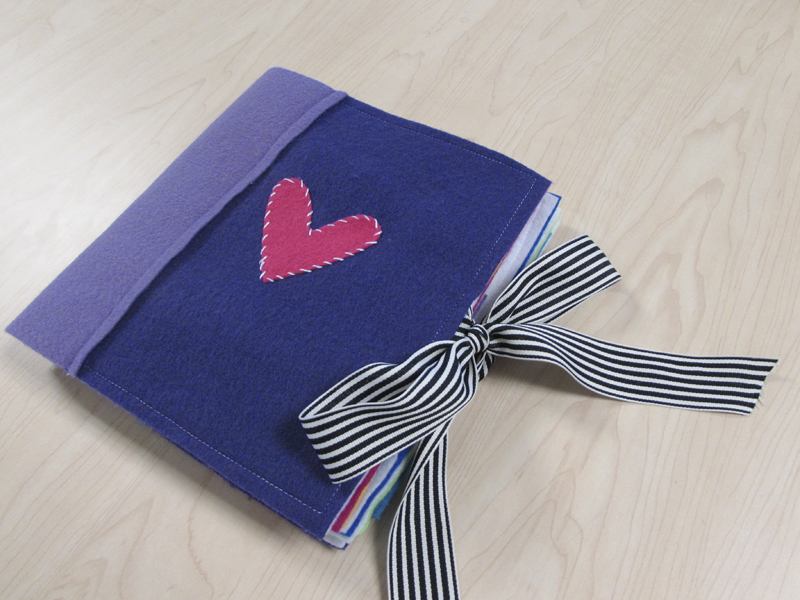 I used my Big Shot to cut the heart and hand sewed it to the front after the entire book was assembled. My daughter loves buckles, clipping and unclipping will keep her busy for a while. I found a buckle company online that allowed single item orders and ordered a few. This was an idea I found on Pinterest, super simple and very fun. 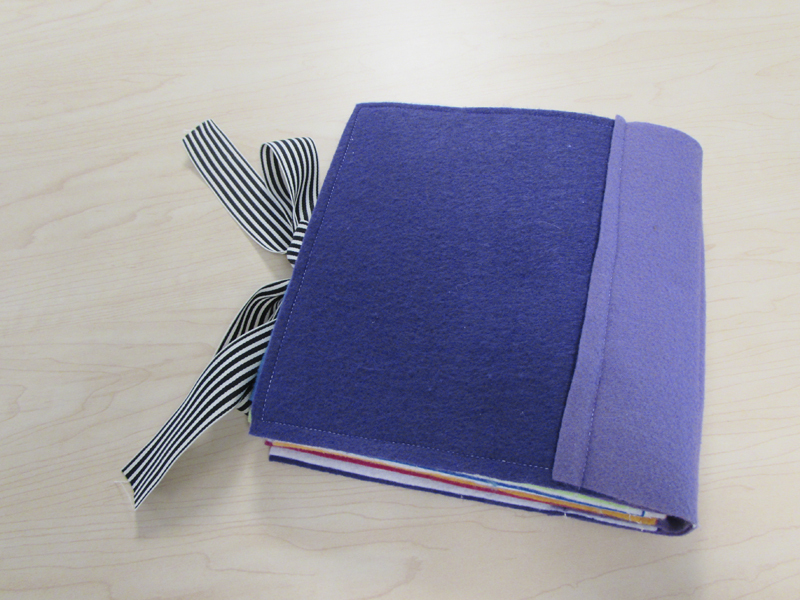 For this page, I sewed buttons to one strip of felt and cut slits in the partner strip so she could button and unbutton each button. 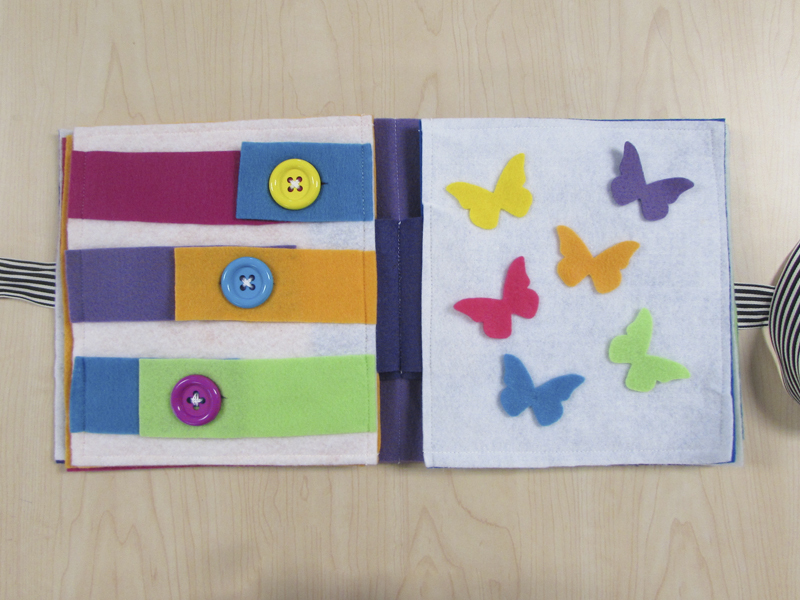 On the facing page, the butterflies are just glued in the center, she plays with the edges and calls out the colors. I learned a lot from this page. The letters are foam stickers, which I will not use again, because my daughter likes to pick them off. They definitely need to be sewn down. The shoe idea is something else I saw on Pinterest, I love it, but looking back, I should not have used the jumbo eyelets. They are starting to pull out of the holes, the felt isn’t enough to keep them in place. 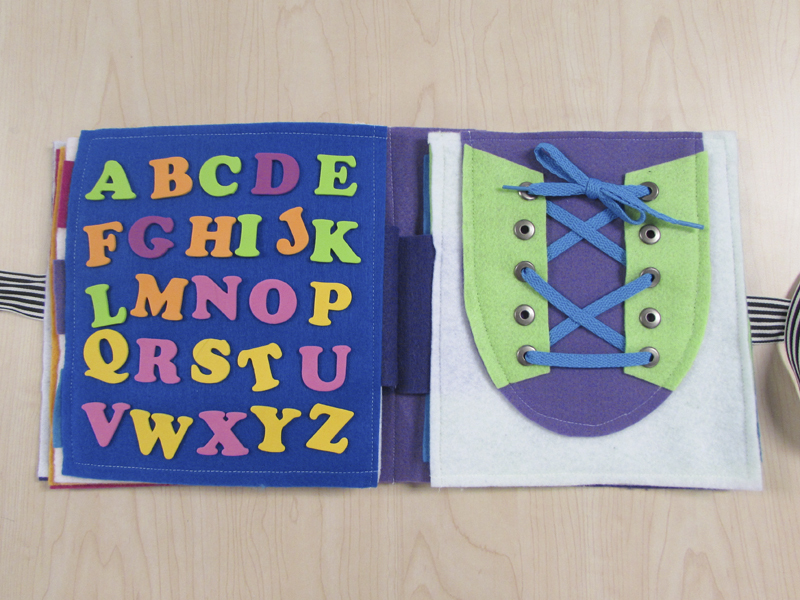 And the very last page is just a zipper that I sewed to two pieces of felt. I hope you have found this post inspiring. If you’d like to follow me on Pinterest, click here. You did a great job on this! I’m sure your daughter is enjoying it!